I hand paint this fairy’s dress green but I can do her in red or yellow and I think blue looks good on her in the moon light. 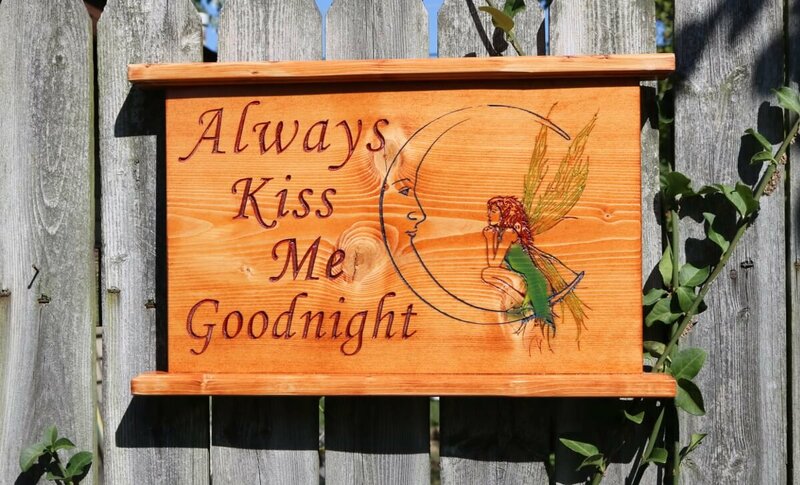 I think the “Always Kiss Me Goodnight” plaque works well in a kids room. But it makes a nice place to hang your key lanyards too.